Whether the animal is living or deceased, some injuries are more suggestive of deliberate abuse than an accidental cause of the injuries, says U. of I. veterinary diagnostic laboratory professor Dr. Adam Stern, who has investigated numerous animal-related deaths. Just as police and forensic pathologists investigate crimes involving human perpetrators and victims, veterinary pathologists are sometimes called upon to determine whether – and how, and by whom – animals were abused or killed by humans. They also investigate injuries or deaths caused by animals. 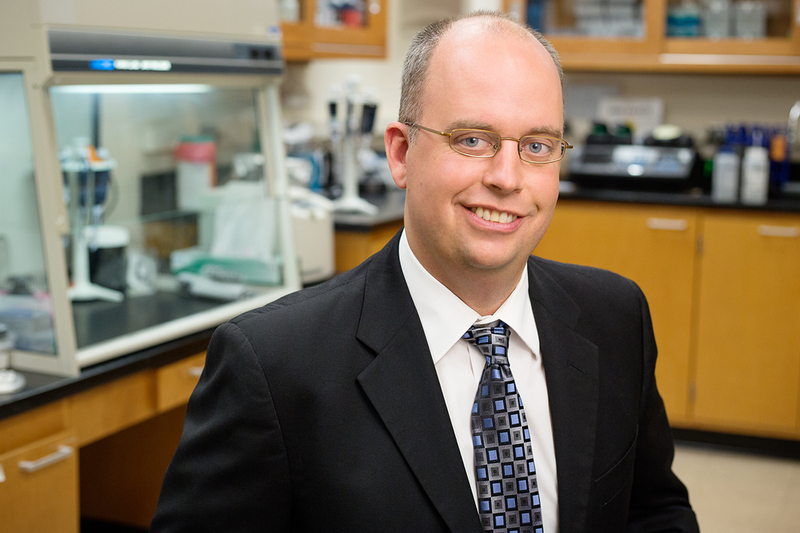 U. of I. veterinary diagnostic laboratory professor Dr. Adam Stern, who has investigated numerous animal-related crimes, spoke with News Bureau life sciences editor Diana Yates about the challenges of the work. What kinds of animal-related cases are most commonly investigated? The most common are cases of neglect (failure to provide food, water, shelter or medical care) and cases of nonaccidental injury – the deliberate physical abuse of an animal, resulting in bodily injury. Gunshot injuries, thermal injuries (in the case of burns or animals set on fire), intentional poisonings and sharp-force trauma (knife injuries) also are investigated. There is a strong link between animal abuse and other forms of family violence. During animal cruelty investigations, it would not be unexpected to find other forms of violence including child abuse, elder abuse or domestic violence. How do you investigate a violent animal death or signs of abuse or neglect of a still-living animal? Are there any common patterns of injuries you look for? Whether the animal is living or deceased, some injuries are more suggestive of deliberate abuse than an accidental cause of the injuries. For example, if a dog has multiple fractured ribs, some with evidence of healing and some without, this suggests a nonaccidental injury. But if an animal has a broken pelvis and abrasions of the skin, these suggest an accidental injury occurred – perhaps the animal was hit by a car. If I were evaluating a case of a single geriatric and emaciated dog versus 10 dogs in a household that are all emaciated, the latter scenario would lead me to suspect neglect (a failure to provide food). With a living animal, a veterinarian would conduct a physical examination and other diagnostic tests such as blood work and radiographs. In the case of a deceased animal, a veterinary pathologist would perform a forensic necropsy (similar to a forensic autopsy). In addition to the actual examination, photographic documentation and written documentation of the case findings can be used as evidence if the case goes to trial. In some instances, when an animal is attacked by another animal, bite wound analysis, location of the bite wounds, and DNA testing can help determine the type or even the specific animal that inflicted the injury. There also are times when an animal causes injury or death of a human, as in the case of a fatal dog or alligator attack. In these cases, examination of a suspect animal will use forensic techniques to determine whether or not the animal in question attacked the human. Do you think your work in any way deters potential abusers? I do not think that my work alone deters potential abusers of animals, just as a forensic pathologist’s work does not deter humans from killing other humans. It is a team effort, as the investigation and prosecution of each case is done by a number of different individuals, including police officers, crime scene investigators, animal control officers, veterinarians and attorneys, with each person playing a unique and vital role in the investigation. Ultimately, deterrence will come from additional prosecutions and convictions of people who abuse and neglect animals, especially when there are major fines and prison sentences. What role can veterinarians play in detecting and reporting animal abuse or neglect? Do you think they do this? Veterinarians play a major role. In many states, including Illinois, veterinarians are required by law to report cases of animal cruelty, torture and animal fighting. In Kentucky, unfortunately, veterinarians are prohibited by law from reporting cases of animal cruelty without a court order, subpoena or waiver from a client. Veterinarians can (and many do) report cases of suspected animal cruelty and neglect. I also think there are a number of veterinarians who are not aware of the reporting requirements. Some veterinarians also don’t feel they know how to recognize signs of abuse or neglect in their animal patients. There are now numerous opportunities for veterinarians to attend veterinary forensic-related lectures at continuing education events. In your view, are current laws and prosecutions effective at punishing perpetrators? There is extreme variation between state laws. Some states have very strong animal cruelty laws that allow for the prosecution of crimes against animals. The Animal Legal Defense Fund ranks the animal protection laws of all 50 states, and in 2015 Illinois was ranked No. 1. I feel the laws in Illinois are often very effective at punishing convicted perpetrators. That said, even in states with strong laws, there is room for improvement, as the prosecution rate of animal-related crimes varies by county: Some counties are extremely active in both investigating and prosecuting crimes against animals, whereas other counties are not.